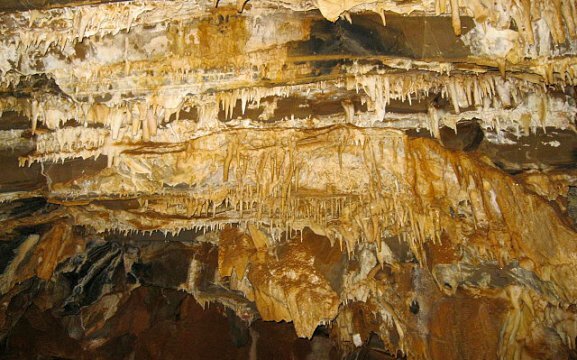 The Ghaub Cave is part of the Ghaub Farm and lies 38 metres beneath the surface. 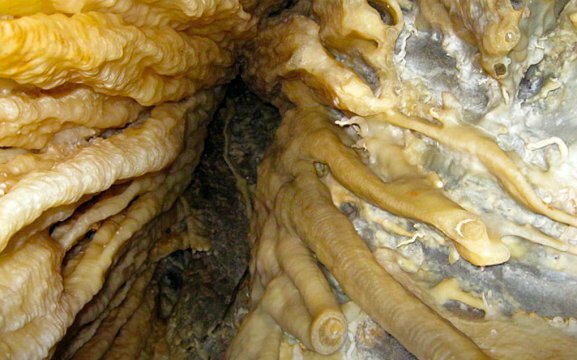 It has a humid underground world formed by a forced mixture of water and calcium for over the past seven million years. There are also dolomite and sandstone, limestone and odd crystal-like formations glistening from the dark. Cockroaches and bat families live here. The Ghaub Caves are nothing but dead silence, except for the gasping of occasional breath of damp air and clambering over the fossilised sand. Not suitable for the claustrophic. 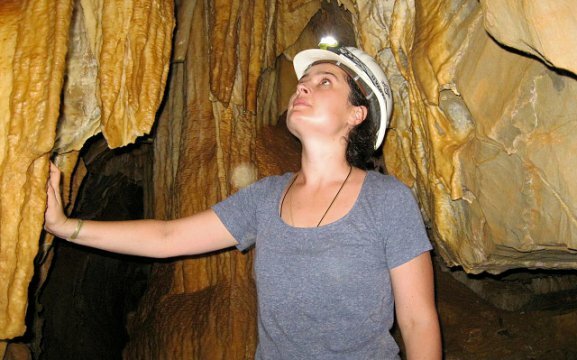 The Ghaub limestone cave is a national monument since 1 May 1967 and is now the third largest cave with the largest underground lake in Namibia. The passage way extends up to a length of 2.5km. 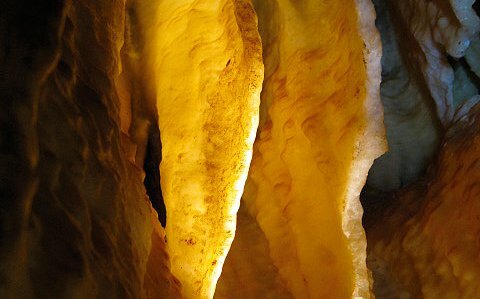 The cave has over 700 million year old dolomite rock, formations of stalagmites called “the organ”, bands and curtains, sinkhole stalactites and stalagmite fingers. In 1914, a missionary Dr Henry Fedder came across a large gaping hole in the crust of the earth, with not much knowledge of what an intriguing little playground it would become. There’s always a touch of fear present when entering the cave for the first time, but then transforms into pumping adrenaline. The underground lake is of endless fascination, nobody knows how deep or large it is. We think it’s connected with the waterways to the Guinas and Otjikoto lake, forming the largest underwater lake on earth. Guests should wear hiking shoes, and comfortable clothing. Helmets and headlamps will be provided. It is a two hour adventure, which includes being covered in mud, sweat and tears. 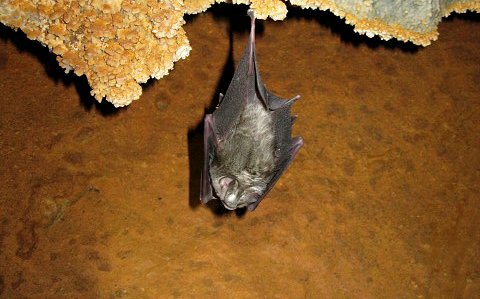 The temperatures of the cave are between 25-29 degrees Celcius – its colder in summer and warmer in winter due to the lack of fresh air.